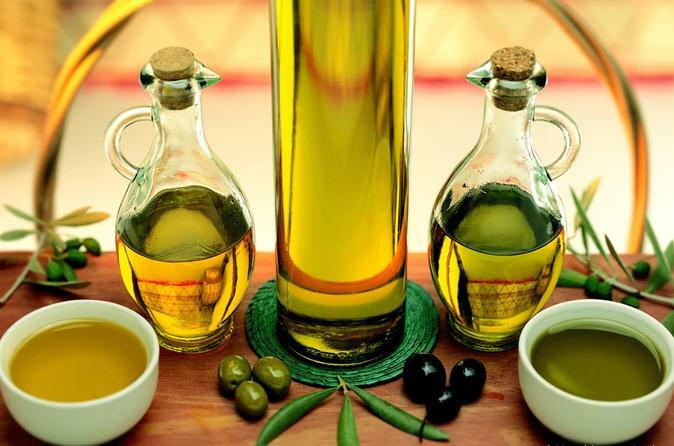 The discovery of Tuscan gold: history and cultivation of the olive oil. You will learn how to taste it properly and how to appreciate and distinguish all its characteristics. Comparison of three different types of olive oil with traditional Tuscan snacks or Lunch. Nice Location in the medieval Ex-Convent near famous San Gimignano, delicious Tuscan olive oil and organic food from the farm and a lot of fun. Big and small groups - up to 100 people. Lunch or dinner by candlelight in the charming historic 18th century wine cellar, in a unique and exclusive atmosphere. Half Day Cooking Class includes one intensive, morning or afternoon, cooking session with instruction and practice with our chef, lunch or dinner following the lesson including wine, all food ingredients. 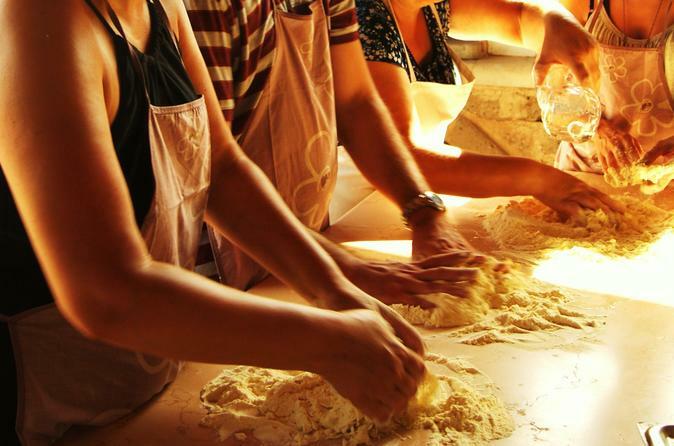 The theme of the tour is the kitchen: a journey discovering traditional, natural foods of the region. We will cook meals together with professional chefs using organic produce collected from our gardens. 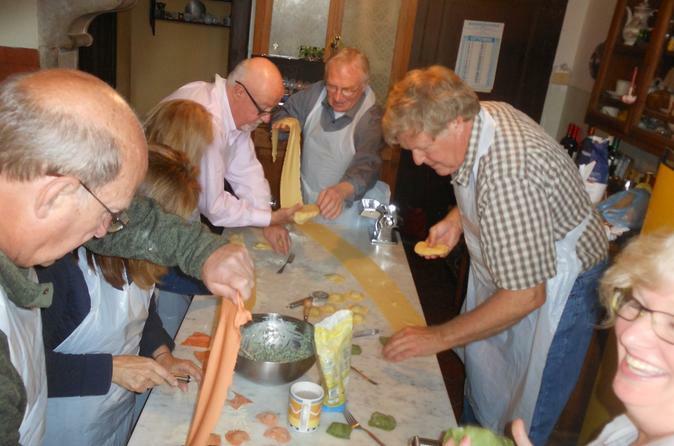 This is a full immersion program in Italian culture. It is a journey through the passions of Italian people designed for those who love this country. 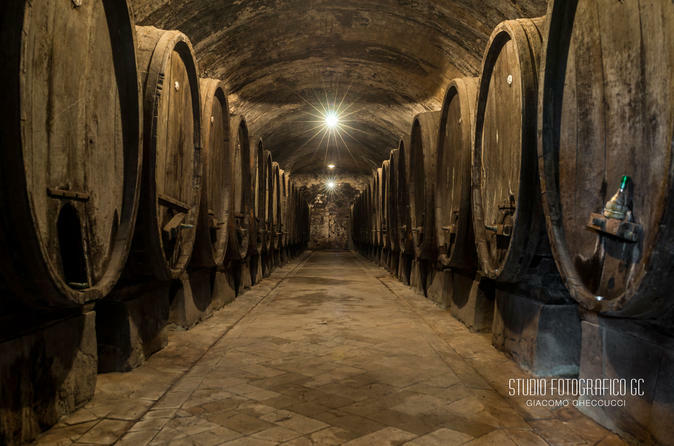 Guided tour of a historical 18th century wine cellar in the heart of Tuscany followed by a tasting of best local DOCG Wines and traditional food. Nice location in a medieval ex-convent near San Gimignano, great wine, delicious organic food, local farmers and a lot of fun. Specialized in big and small groups - up to 100 people. 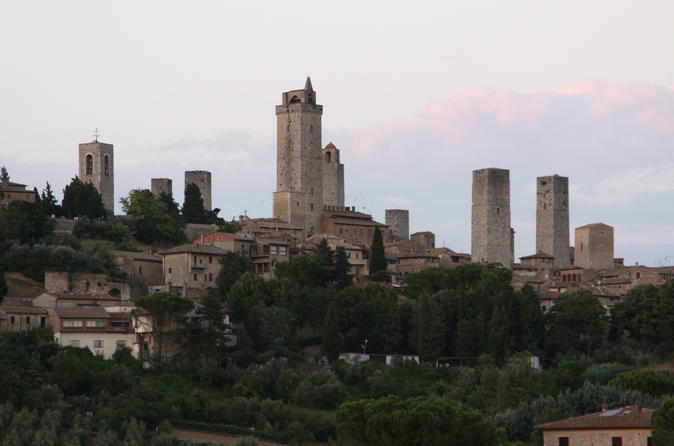 San Gimignano is a charming Medieval village, famous for its towers and its romantic atmosphere. Come and discover all its secrets with a local professional guide. 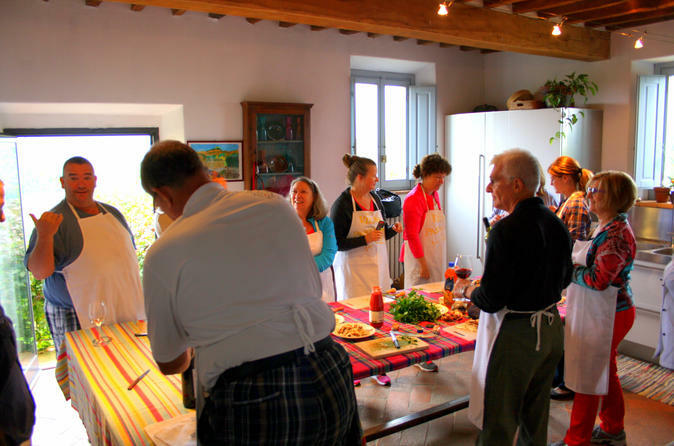 Cooking lesson with an Italian chef in the historical and unique location of the ex-monastery and old wine farm with a great history. The 2 day intensive cooking course is for people who want to live a deeper and more detailed kitchen experience. 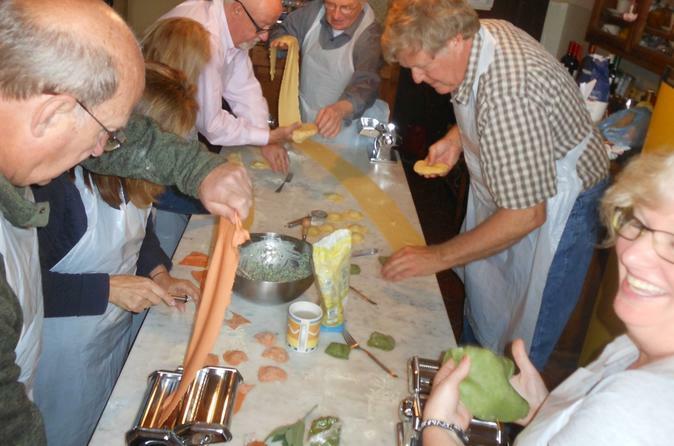 Spend two days learning to prepare speciality dishes from Tuscany in Italy. 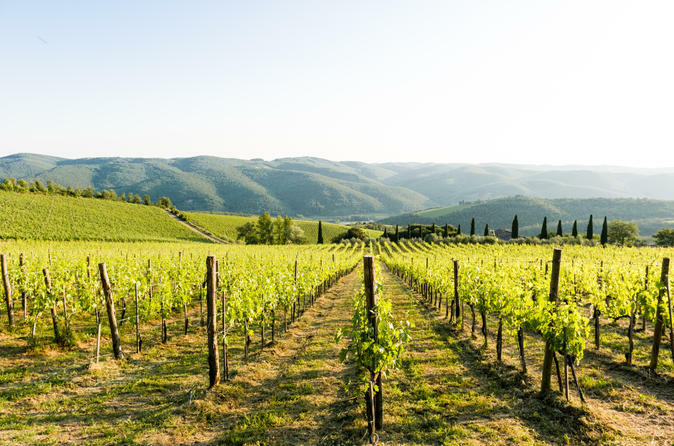 Hiking tour: a 20 km loop, medium-high difficulty, from the village of Panzano in Chianti to Lamole (a fortified Medieval village) through the Tuscan sweeping Hills and Valleys in the heart of the Chianti area. 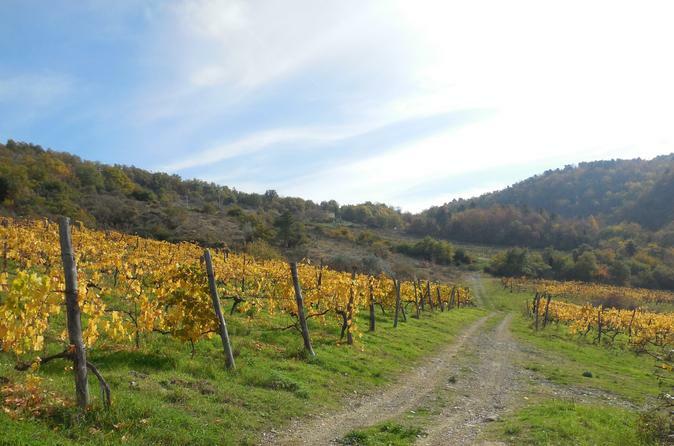 We will stop in Lamole for a picnic lunch (included) and back to Panzano we will visit a local producer's cellar and taste their wine and olive oil. The geometric vineyards, the silver green of Olive groves and the panoramic views will leave you breathless. 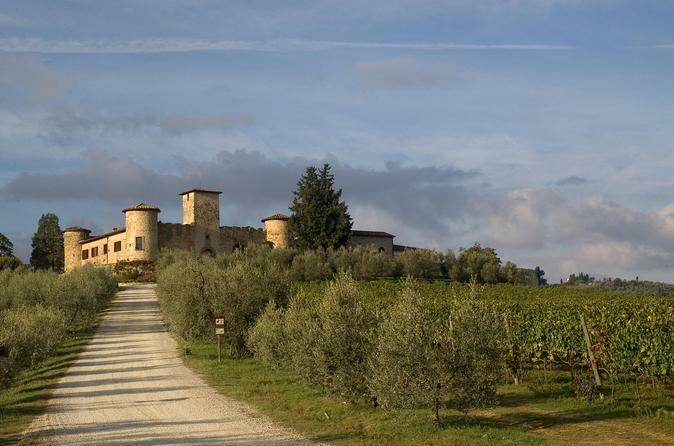 Visit an organic estate that organizes guided tour and tastings in the heart of Chianti Classico area, between Radda and Panzano in Chianti. During the tour it is possible to see the vineyards and the wineries, hear a guided explanation of the wine-making process in order to make wines of the highest quality. The visit is then followed by the tasting of the 3 or 6 wines, accompanied by small but tasty snacks, including bread with olive oil of own production and Grappa. Winery visit and tasting in ancient cellar. Guided visit of the castle, vineyards and the ancient cellars with explanation of the disciplinary of the Chianti Classico and its wine making techniques. 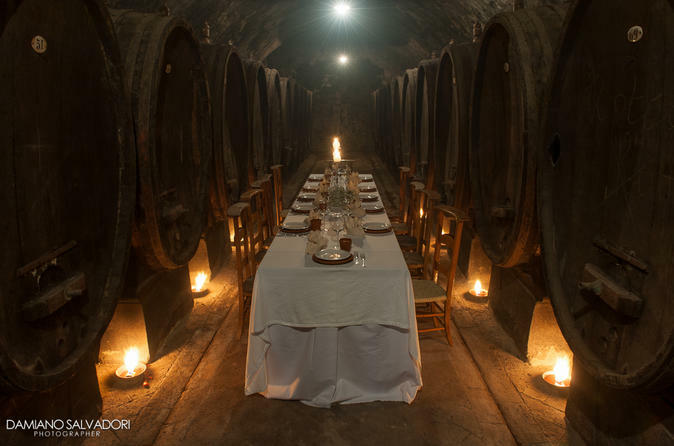 The tasting is held directly in the ancient cellar and is enriched with a small snack. Tasting of 4 wines and the balsamic vinegar.